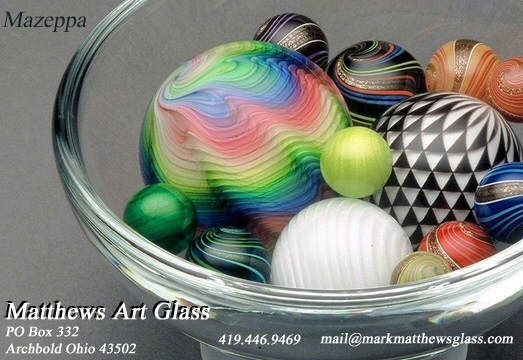 Mark Matthews is notably recognized for his work in glass, especially in glass spheres. Working with only one assistant, each piece is meticulously worked and signed by the artist. Highly collected and valued, Matthews’ work has been published in many books and is held in museums such as the Victoria & Albert Museum in London, England, the Corning Museum of Glass in New York, the Toledo Museum of Art in Ohio and the National Museum of American Art, Smithsonian Institution, Washington, D.C.